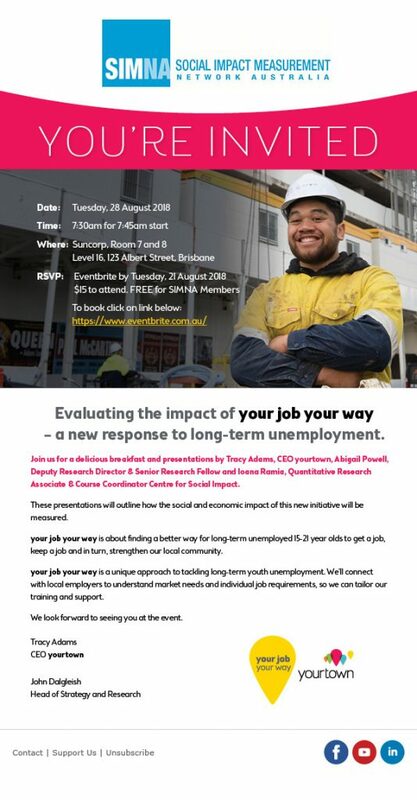 Join SIMNA QLD in Brisbane on Tuesday, 28 August 2018 for breakfast and presentations about ‘your job your way‘ – a new initiative designed to help long-term unemployed 15-21 year olds get a job, keep a job and strengthen the local community. Come and hear what our presenters have to say. We look forward to seeing you there!